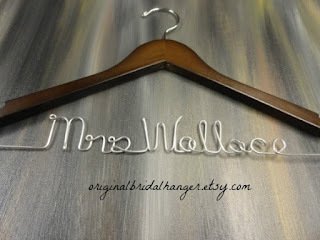 If you missed out on my September wedding dress hanger sale, here is a new one starting as we speak! 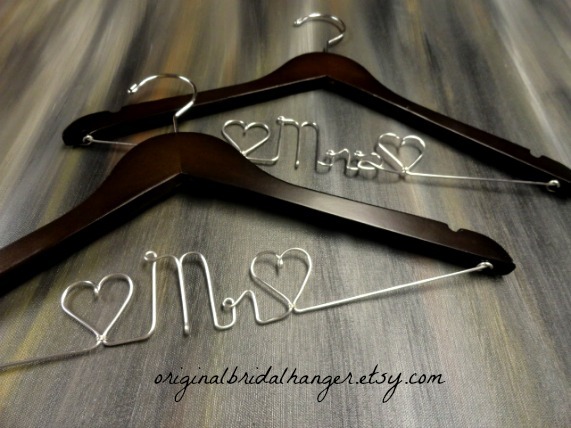 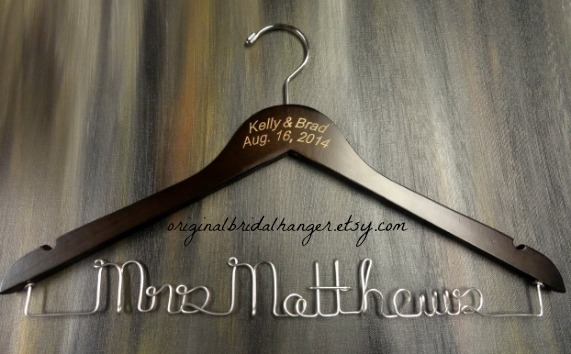 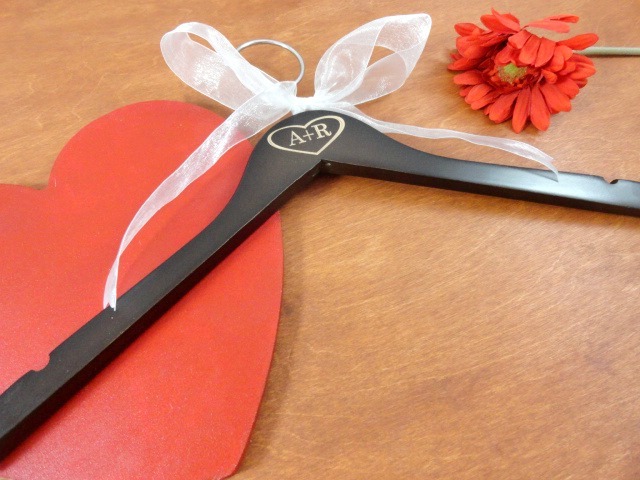 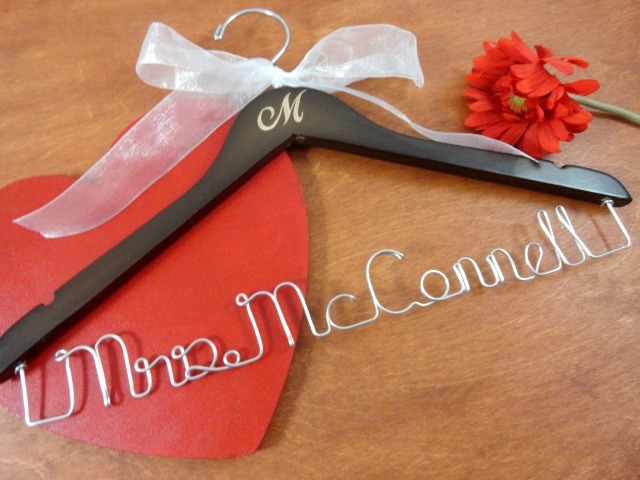 This sale will offer 20% off again on most of my wedding hangers. You can purchase a set for the bride and groom with the generic ones like seen above. 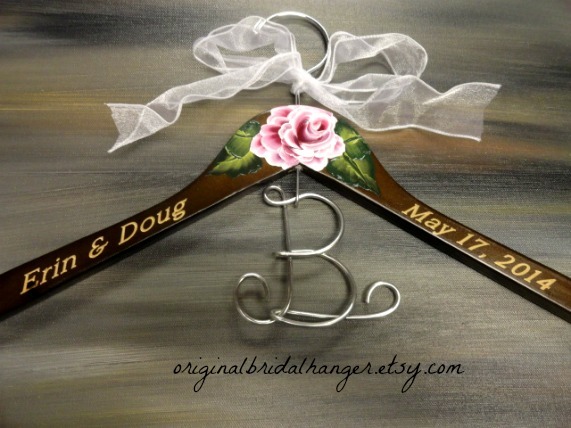 How cute would they look as photo props for your special day? 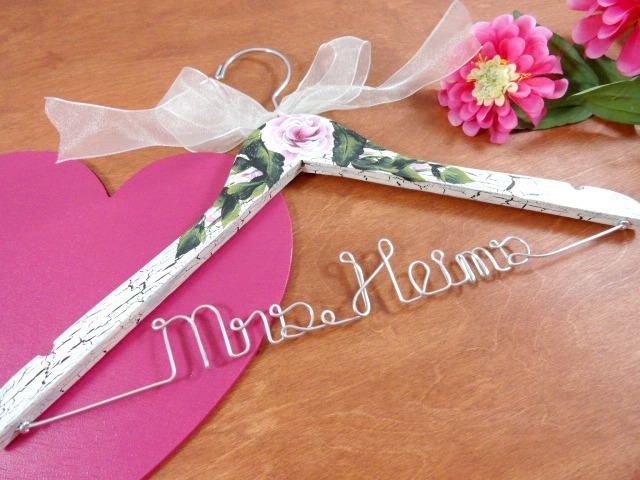 I offer a few different varieties of shabby chic bridal hangers too. Not just the regular brown and white! You can also just have the wire name created with not painting or engraving. What a beautiful hanger this is! 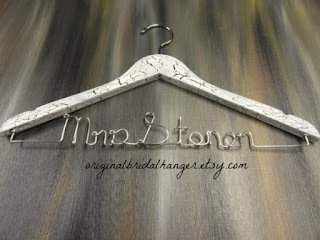 I hope you will take a moment to stop by and check out my sale!